Yesterday, I reported that Apple had filed for a second patent for a “scanning depth engine” that generates 3D profiles. 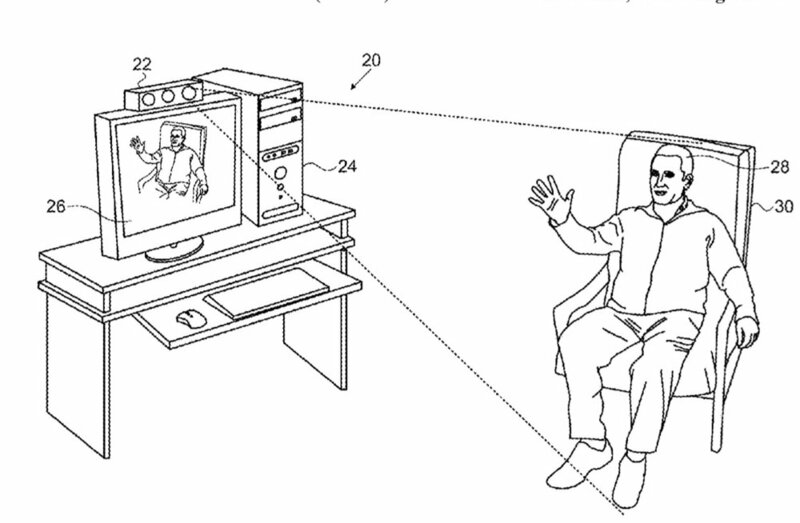 The tech giant has also been granted a patent (number 9,898,651) for “upper body skeleton extraction from depth maps,” which would facilitate gesture controls on a Mac or an Apple TV. A "depth map" refers to a representation of a scene as a two-dimensional matrix of pixels. They can be processed in order to segment and identify objects in the scene. Identification of humanoid forms (meaning 3D shapes whose structure resembles that of a human being) in a depth map, and changes in these forms from scene to scene, can be used as a means for controlling computer applications. An example would be a computer-implemented method in which a depth map is segmented so as to find a contour of a humanoid body. The contour is processed in order to identify a torso and one or more limbs of the body. An input is generated to control an app running on a computer by analyzing a disposition of at least one of the identified limbs in the depth map.